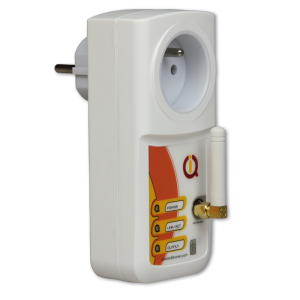 Smart socket is Intelligent power switch with premium features and GSM + LAN interfaces. Switch was designed to control appliances remotely by any phone, tablet or computer in smart homes, small offices or weekend cottages. Easily over SMS, WEB browser or phonecall. equipments over serial RS232 interface by AT compatible commands. 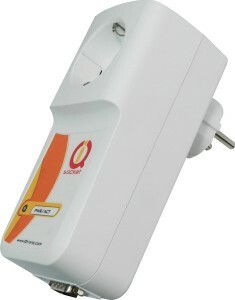 Smart GSM plug for home users. Monitor and control electrical equipment over phone, tablet or computer. Using by SMS, by simple call, by voice navigated phonecall or Bluetooth enabled PC. 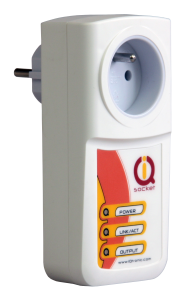 IQsocket LAN allows you to control of any electric appliance connected to the device’s socket remotely over any IP network, including internet. You can use for this purpose any device supporting internet browser (HTTP protocol) such as PC, smartphone etc) or using SNMP protocol.